With such rapid tech evolution, is it really all that surprising that we can get a lot more for a lot less now? This list has a bunch of different designs to make you spoilt for choice! Fun and affordable, what more could you want? 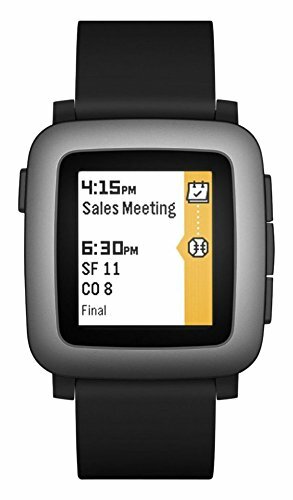 Pebble smartwatches don’t have powerful brand names backing them, but these continue to be popular among gadget lovers. Super long battery life that can last up to a week. When it comes to smartwatches, the battery life is of foremost concern. People don’t really like to constantly charge a smartwatch like a smartphone. The Pebble Time is more like a real watch in this way. You can charge it once on the weekend and casually use the smartwatch for the rest of the week. This smartwatch is water-resistant down to 30 meters. Using it in the rain is completely worry-free. The watch interface shows dozens of notifications. There’s a bonus perk called Pebble Health, which is a built-in activity tracker. The watch face is built with tough 2.5D glass. The LED copper display is always on. Although this smartwatch is useful in so many ways, it’s rather unappealing. It looks like something out of the eighties. The screen display is very bland and monochrome. If you want a stylish smartwatch, this one isn’t it. Despite the looks, this is one of the most functional smartwatches a budget user can own. The Willful smartwatch and fitness tracker is unabashedly colorful and shows off a large display. It’s perfect for workaholics with rigorous workout schedules. A reliable pedometer, a heart rate monitor, a sleep tracker, a calorie counter, and a music player. It even has a sedentary alarm and a function to remind the wearer to drink water. The smartwatch features includes smooth synching with any Android 4.4 and above or any iOS device 7.0 or above. The watch sports a Bluetooth connection too. The Willful is made from aircraft-grade aluminum with a metal coating. The HD screen that displays large letters is wonderfully scratch resistant. The whole smartwatch is IP68 waterproof. It can withstand sweaty hands, water splash when washing hands, or even some submersion when swimming. The smartwatch is very colorful and appealing. It comes with interchangeable wristbands so you can mix and match colors with your outfits. There are so many things to rave about this smartwatch, but the battery isn’t it. The battery capacity is only 360 mAh. The battery can last for one or two days tops. On the flip side, it only takes about two hours to charge the battery. Also, the smartwatch doesn’t support a SIM card. Wearers can only get notifications for calls or SMS messages and will need a phone to reply. This ZenWatch is absolutely stunning and stylish in design. It costs less than $100 because the product is available refurbished. This smartwatch is more professional and lacks certain fitness tools like a heart rate monitor. The watch is much slimmer as a result. While the design is sleek, this watch is not designed for larger hands. The strap can be small and flimsy. The touchscreen is 1.63 inches has AMOLED display. The screen is protected by Gorilla Glass 3. The touchscreen works smoothly and is highly responsive. The watch has a built-in pedometer and a basic activity tracker. The battery life is short and won’t last a day. It requires charging every 24 hours with constant use. Recharging the battery is really fast though thanks to HyperCharge magnetic charging system. The smartwatch can reach a 60 percent charge in just 15 minutes thanks to this tech. The smartwatch comes with tons of stock apps. The apps are highly customizable. The smartwatch requires a lot of software updates before it becomes available for use. It will take at least a day to download all software updates. The Huawei Bank 2 Pro offers features of a smartwatch twice its cost. It’s not perfect but it offers great value for casual users. The smartwatch has a built-in GPS, great for logging in workout data without synching a smartphone. The gadget is also 5 ATM water resistant. It’s got continuous heart rate monitoring as long as you wear the smartwatch. It can be as accurate as a medical device. This watch comes with a scientific sleep tracking system. Unlike regular sleep tracking you get with just about all smartwatches, this offers more precise readings. For workout enthusiasts, the smartwatch has calorie tracking and records distance. Like sleep tracking, it offers workout analyses including recommending resting times. The battery life is also quite amazing. You can use the smartwatch for up to 21 days on a single charge. Battery life can vary in actual usage. The workout mode, it should be noted, only lasts up to 5 hours. There aren’t that many downsides to this smartwatch. However, it can certainly have a better band. The plastic band doesn’t have a buckle so it can easily come off. The band isn’t durable either so users may have to replace is sooner or later. Other than these minor issues, this smartwatch is a clear win. 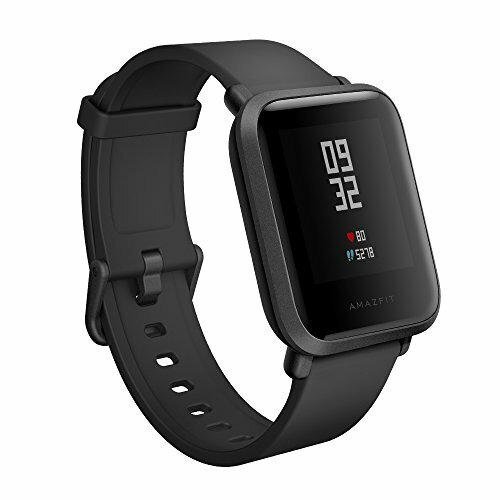 The Amazfit Bip smartwatch is available in a host of colors. And that’s only one of the minor perks offered by this smartwatch. This smartwatch is designed for prolonged wear. It’s got all day heart rate monitoring and distance tracking. This smartwatch is surprisingly lightweight. It weighs roughly an ounce. The display of the smartwatch is transflective. Meaning, it’s readable under bright sunlight without needing a backlight. The Bip comes with the usual goodies like built-in GPS, steps tracking, calorie tracking, and sleep tracking. There’s a separate sports mode to use when working out. The Bip packs a massive battery that can last 45 days. It’s also IP68 waterproof and dust proof. The smartwatch works well with the Mi Fit app offered by the manufacturer. With the app, you can get up to 4 sports modes. The Bip comes with a 12-month replacement warranty. You can easily return the smartwatch if it arrives defective. You can get an array of smart notifications on the watch display. You can even read weather reports without having to use your smartphone. 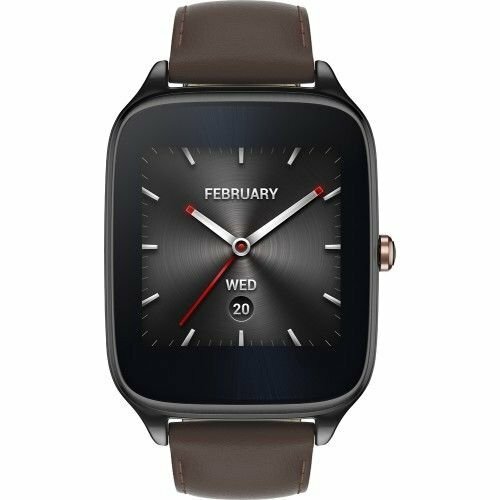 While this smartwatch is relatively feature rich given the price, be aware that it offers only basic functionality. You won’t get high-end features like video chat. Also, some of the tracking features aren’t accurate. Don’t substitute this smartwatch for a medical tracking device. Rule number one of buying a smartwatch is to check if it is compatible with your phone. Check the product description carefully to make sure. You can ask directly from the manufacturer too. Always check the band sizes before buying. Some bands may be too small or too large for certain people. When you buy online, you cannot try the watch on like in a store. So if possible, look at customer pictures and watch review videos to get a sense of the size. Not all smartwatches are water resistant. Read the product description carefully to make sure the one you buy is actually waterproof. 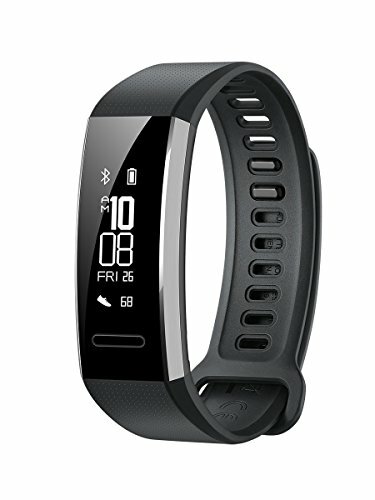 Fitness buffs should buy smartwatches with built-in GPS in addition to other trackers like heartbeat sensor. Do look at pictures of the watch buckle. There’s no point in owning a smartwatch if you cannot properly secure it around your wrist.